Fast and powerful but safe and easy to use. All models ensure the perfect solution to your specific needs. 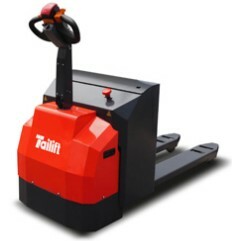 Our powered pallet trucks offer you the latest in safety and ergonomics for maximum productivity and material handling efficiency. The optimal handle and compact, rounded chassis design aids maneuverability and visibility.